Hearing loss is defined as a “partial or total inability to hear”. While the definition is simple, actually understanding hearing loss is more complicated. 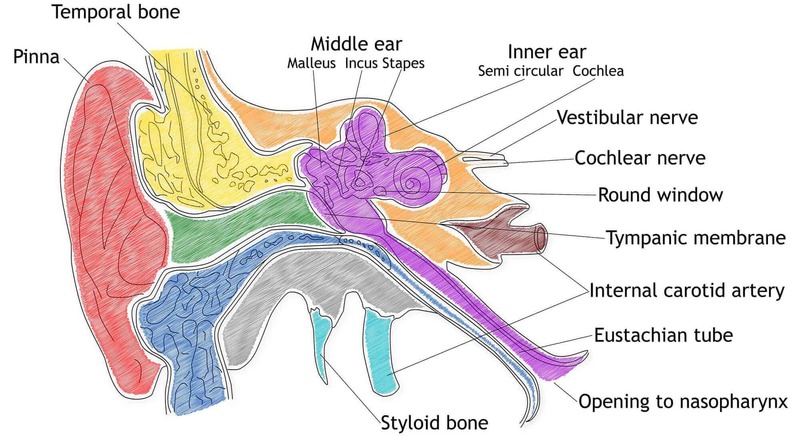 Read through this helpful guide to learn more about the intricacies of hearing loss. To understand hearing loss, it is important to first understand how healthy hearing works. 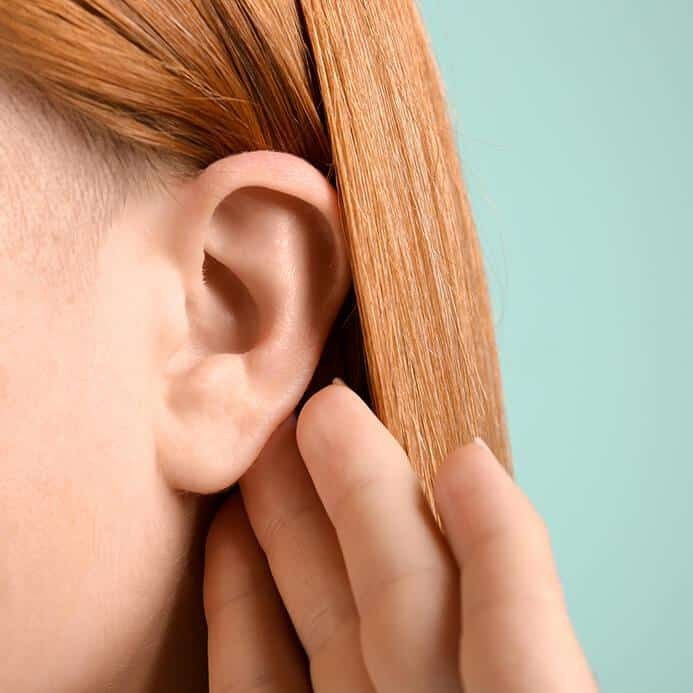 Our hearing (or auditory) system is one of the most complicated systems in our entire body, and quite a lot must occur before we are able to hear even the simplest of sounds. 1. First, sound waves are collected by the outer ear and travel down the ear canal towards our eardrums. 2. Then, the sound waves cause the eardrum and three tiny bones in our middle ears to vibrate. 3. The vibrations of the eardrum and the little ear bones cause a special liquid in the inner ear (cochlea) to ripple and vibrate. 4. The rippling and vibrating causes tiny and delicate hair cells that are located on top of the liquid to bend and sway with the vibrations. 5. The bending and swaying of the delicate little hair-like cells transmits the vibrations into electric signals. 6. These electric signals are then sent through the auditory nerve to the brain for processing. 7. Finally, the brain receives the electric signal and is able to interpret the noise into sounds we understand. This entire process occurs for every single sound we hear, including every letter in every word. Hearing loss can occur when there is an issue with any one of these seven steps. Hearing loss is categorized into four subsections: conductive hearing loss, sensorineural hearing loss, mixed hearing loss, and auditory processing disorders. Sensorineural Hearing Loss – Sensorineural hearing loss is by far the most common type. Sensorineural hearing loss means there is an issue with or damage to the tiny ear cells in the inner ear or the auditory nerve. Sensorineural hearing loss is most often caused by natural aging (presbycusis) or excess exposure to loud noise (noise induced hearing loss). Sensorineural hearing loss can also be present at birth or caused by injury or disease. 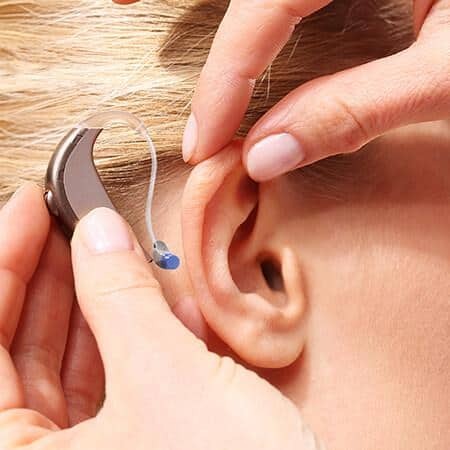 Conductive Hearing Loss – Conductive hearing loss involves physical damage to the mechanics of the ear that make it difficult or impossible for sound to get through the outer or middle ear and into the inner ear. Conductive hearing loss can be caused by excess fluid buildup in the middle ear, ear infections, birth defects, earwax buildup, or other physical interventions. Mixed Hearing Loss – Mixed hearing loss occurs when any two of the above hearing losses occur simultaneously. Auditory Processing Disorders – Auditory processing disorders can happen even if the entire hearing system works perfectly. With auditory processing disorders, the brain has difficulty understanding and interpreting the signals it receives from the hair cells. Auditory processing disorders are most often present at birth but can also be caused by injuries or stroke. Hearing loss is the third most common chronic medical condition in US. It is estimated that about 1 in 5 teenagers experience some form of hearing loss in at least one ear, and the prevalence increases with age (1). In fact, the number increases to 1 in 3 for people aged 65-74 and to a whopping 2 in 3 for those 75 and older (2). While some hearing losses (such as hearing defects at birth or presbycusis) cannot be prevented, there are some forms of completely preventable hearing loss. The most common type of preventable hearing loss is noise-induced hearing loss (NIHL). NIHL is on the rise. 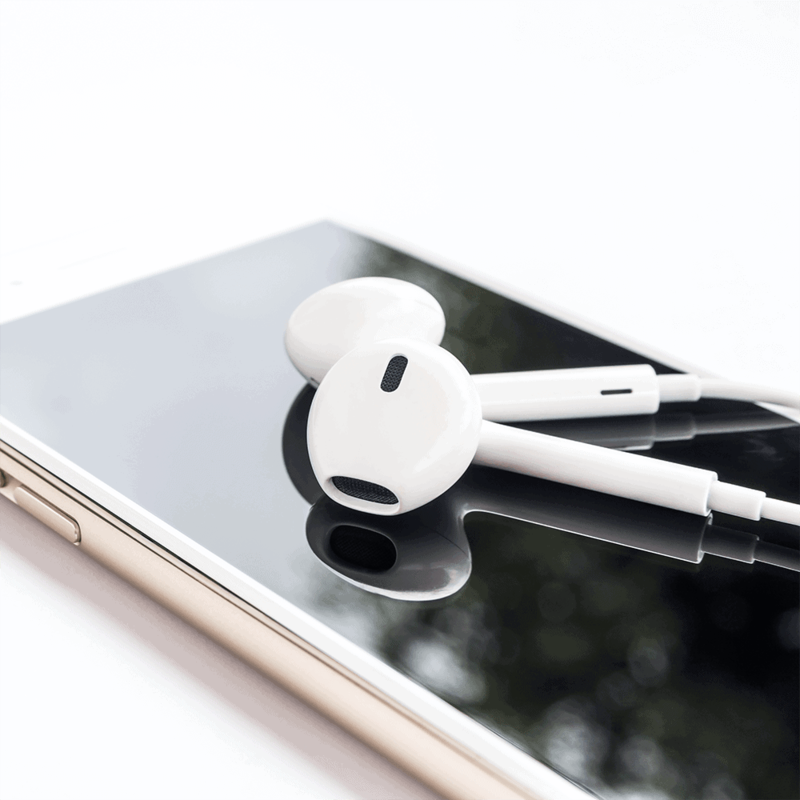 The World Health Organization (WHO) estimates that approximately one billion young people are at risk for developing NIHL, most notably due to an increased use of portable listening devices. Studies from around the world have time and time again shown that treating hearing loss improves many aspects of your life. Treating hearing loss with hearing aids has been shown to significantly increase earning potential, decrease risk of depression or social isolation, and greatly improve social and romantic relationships. Hearing aids can also significantly slow rates of cognitive decline – especially for older adults.